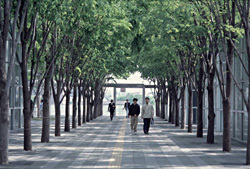 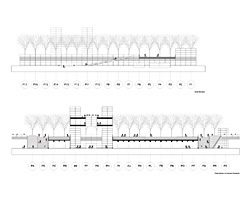 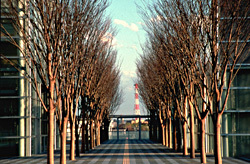 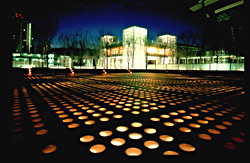 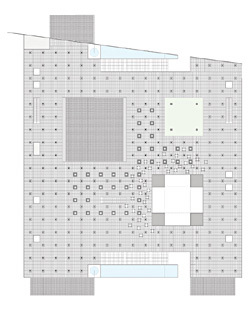 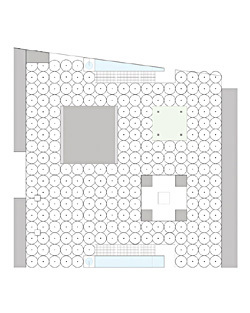 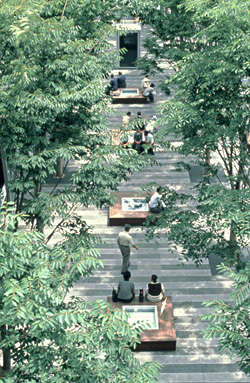 This project began as a response to an open competition that was held in 1994 for the design of a plaza as the pedestrian core of a newly planned sub-center of greater Tokyo. 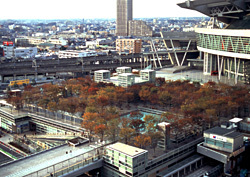 Built over an existing rail yard, the center was intended to relieve the access congestion to the older central districts of the city and would include a new train station, an arena, the tallest building in Japan, and millions of square feet of new office, residential, and retail space. 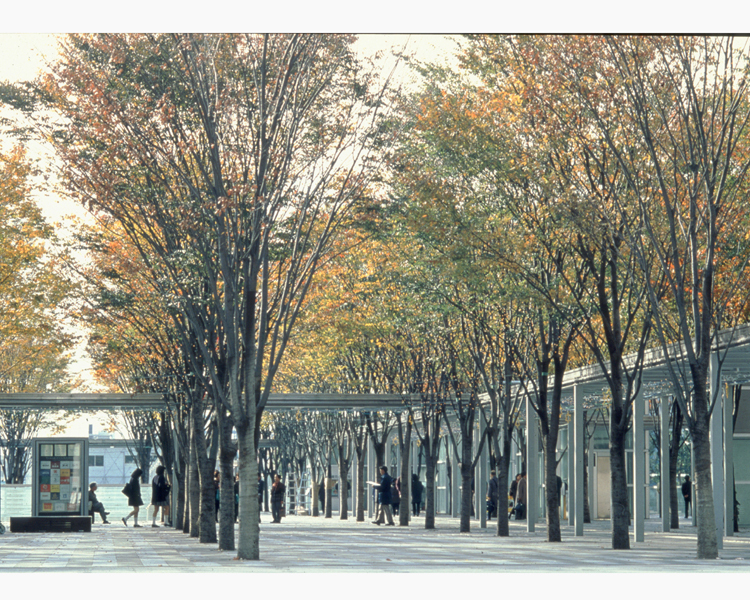 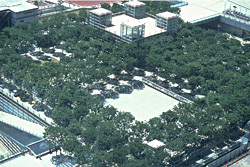 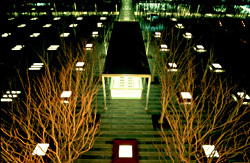 The plaza design metaphorically borrows a square of the forest surrounding the nearby Hikawa Shrine and places this calm natural element in a perfectly classical grid at the center of the new urban construction. 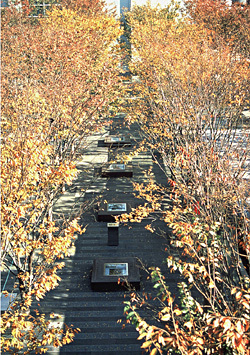 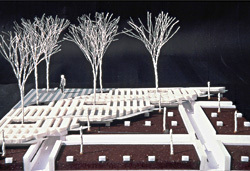 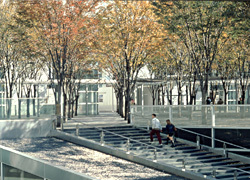 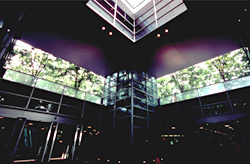 The plaza was conceived as a fifth "elevation" of an otherwise totally glass building, each tree appearing to rise from a steel pillar in the floor below.